We are dully certified by the Dutch Customs (Douane) to undertake Customs declaration and clearances of Import and Export cargo shipments destined for European market, Africa or other destinations. We are also a registered Economic Operator. In Customs Clearance of cargo destined for European and East Africa markets one requires full knowledge of both the EU and EA Customs Regulations. We at Africa Shipping Logistics have the understanding of both the EU and East Africa Customs clearance procedures. With our expertise in this area, we tackle main issues affecting cargo clearance at Customs points in most African ports and thereby ensure that your goods flow smoothly. 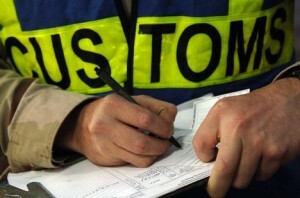 We keep our clients informed on the cargo clearance movement. For Customs formalities and Booking of space for your cargo please get in touch with us, you can visit our Sailing Schedule to check your appropriate shipment date.